Comprehensiveness of invoicing is overlooked at many companies. 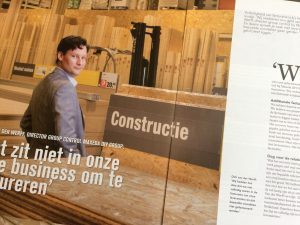 ‘We earn our money at the cash tills in the stores,’ says Dirk van der Werff, group control director of Maxeda DIY. ‘Primarily, we play the retail game. In doing so, we often reach agreements with suppliers that once certain volumes are reached, certain benefits are to be gained. We suspected that there was unclaimed value in there somewhere. Although this does not concern the lion’s share of the purchasing benefits of the DIY retailer, considering the amounts involved, asking someone to check them is certainly worthwhile. ‘SAP does send invoices for ‘standard’ purchasing benefits,’ adds Van der Werff. Maxeda DIY Group is market leader on the Benelux DIY market, with close to 400 stores and more than 7000 employees. There are 4 DIY chains: Praxis and Formido in the Netherlands, Brico in Belgium and Luxembourg, and BricoPlanit in Belgium. Most of the stores have a floor space of 3,000-5,000 m² and work under the names of Praxis in the Netherlands (153 stores) and Brico in Belgium (148 stores). Dirk van der Werff (aged 35) studied economics at Groningen University, and is an RA and RC (VU University). As group control director, he is responsible for the central business and financial control activities. Van der Werff has been with the Maxeda DIY Group for 6.5 years, following 5 years as an accountant at KPMG. He is married and has 2 children. Also read: Actually achieving agreed conditions, is that your top priority too?